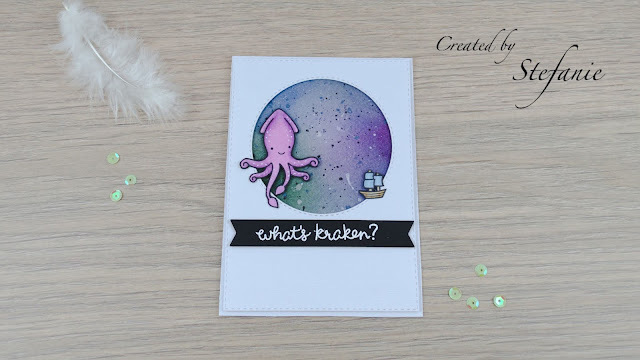 After my last galaxy background, I had to try it with distress inks as well (even though I did not had all the colours I needed) So it is not as purple as intended, but I still like the outcome and it is a messy background for the Make my Monday Challenge. 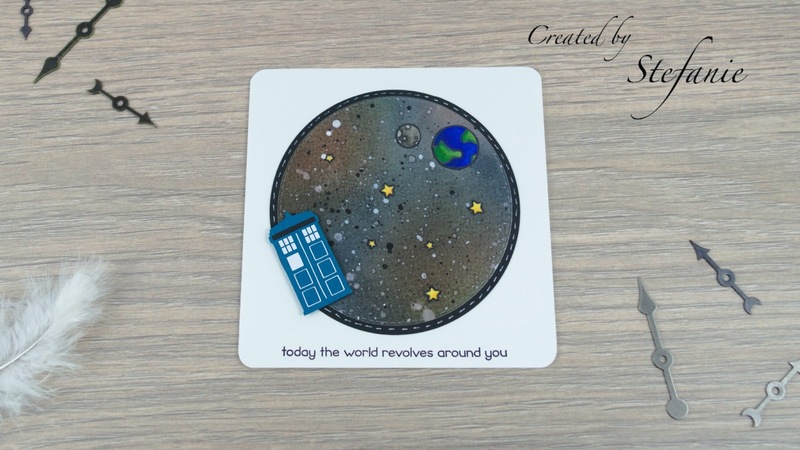 As a big "Doctor Who" fan, this one needed to be a fan card for my fav TV series. 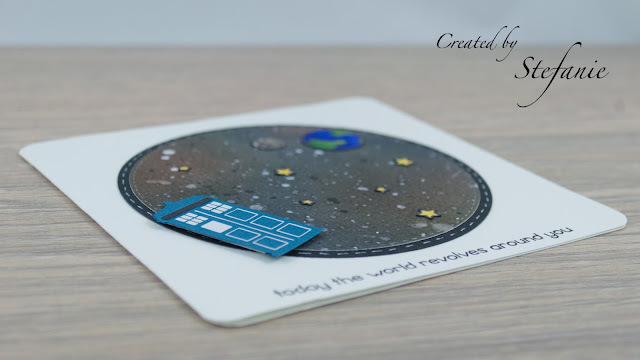 I cut out the Tardis from the SVGCooP design. Because it is so small, I used vinyl to stick to the blue card stock. So another take of the B, this time it is Tardis Blue and the All Sorts Challenge. Not really original, but I used the same Lawn Fawn stamp set I used in my last card, the "Out of this World" one. After colouring it with my Copics, I added some Wink of Stella to add some glitter to the card. This one is for my friend who is an even bigger Whovian than me and guess she can appreciate this one. Her birthday is due in a few weeks, so I need to be a bit secretly about this one. A great card for the Dr Who fans, thanks for joining us at again at Allsorts. your card is totally cool! That galaxy background is awesome. Thank you for participating in our challenge at Allsorts this week!